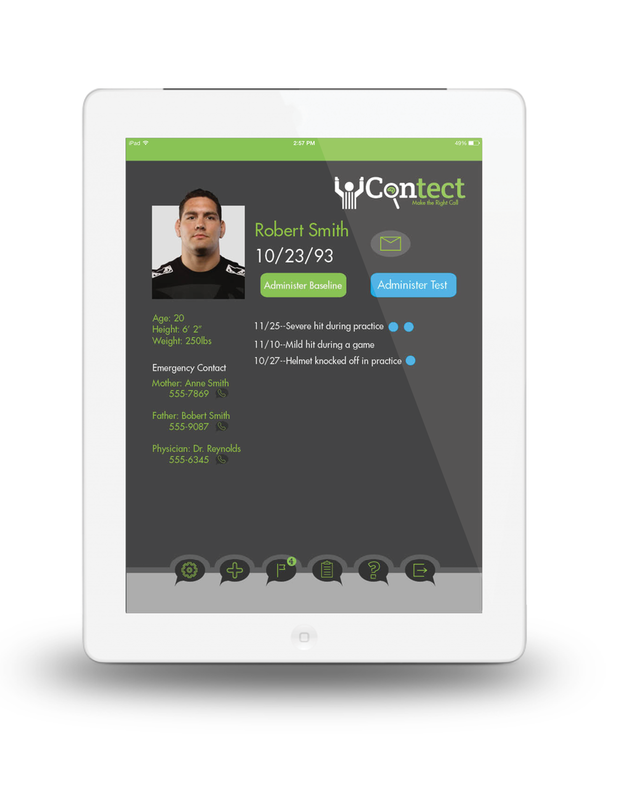 These are my mock up designs for the Contect concussion screening app. This portion of the app is the organization of the student database. These are my proposals for how I see the users traveling through the app to find the desired student records, before they proceed to test them. I have included the roster and basic concussion checklist. I also came up with the Contect tagline, "Make the Right Call." Although they are not using this exact design for their app, the tagline is now their official tagline. Contect is a startup working out of Notre Dame's innovation park. The team hopes to bring easy and quick concussion screening to the sidelines in the form of a mobile application. They have received sponsorships from both the NFL and GE. I am not responsible for the Contect Corporate Logo.